You have been witnessing my half moon fever for a while. I love the half moon trend for spring 2014 and have already shown you my pink and orange color block design as well my half moon wedding nails idea. Half moon nail design is a good break from the all over color but still not too complicated to make and thus to fit the lifestyle of an active girl with many things to do. Today I want to share with you my blue and mint half moon nail design. I think half moon nails look great in a contrasting color combination so I went for another color block. This time I used a mat top coat and I really love the result. I must admit that a fat top coat blends the design a bit better but if you need a change, go ahead and grab your mat top coat! Posted by NailCentric & filed under Tutorials. This post has 11 comments. This looks so bright :) Love it! 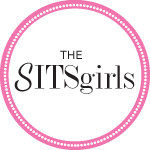 Hi to a SITs girl :) The mat effect is my fav option to make things a little different and go for some easy variety, too. Oh love it, it’s amazing how well the colour combination works! Dark blue + mint is one of my fav color clock combinations!